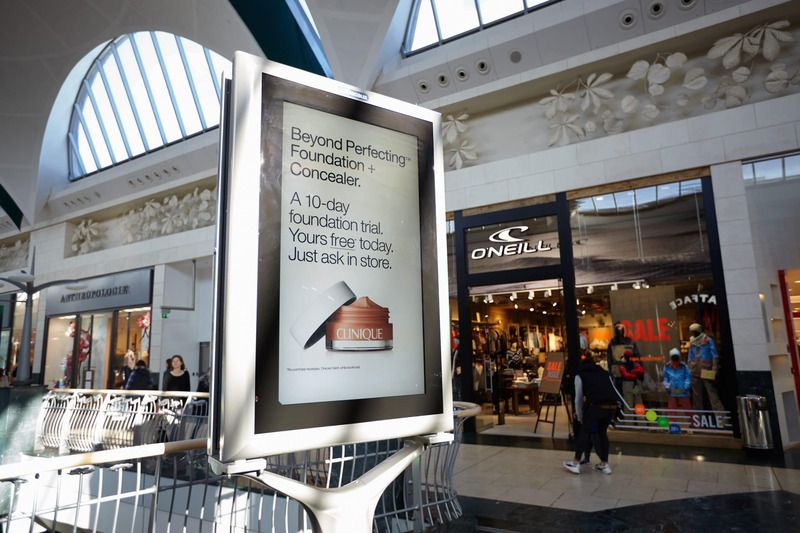 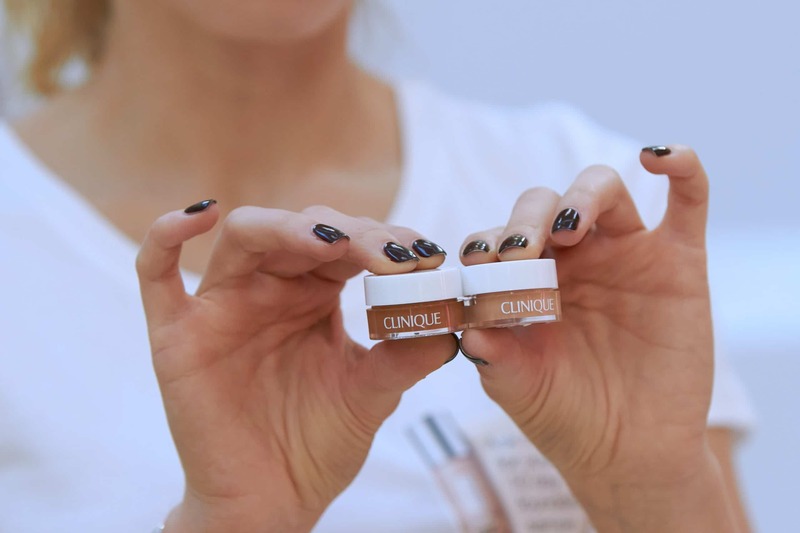 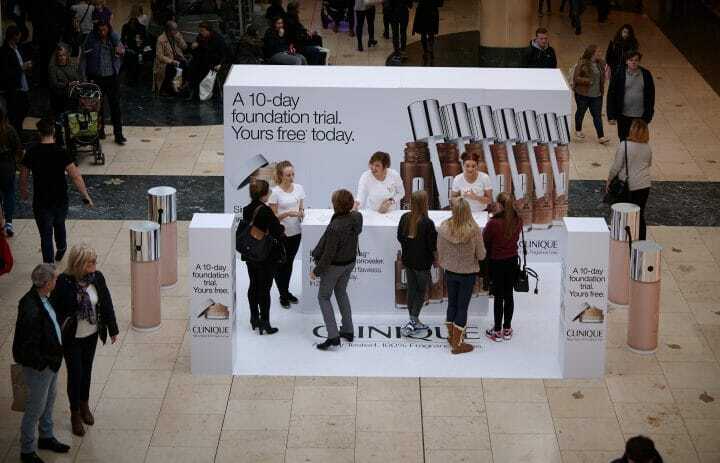 We were tasked to raise awareness and drive trial of Clinique Beyond Perfecting, a 2 in 1 foundation and concealer. 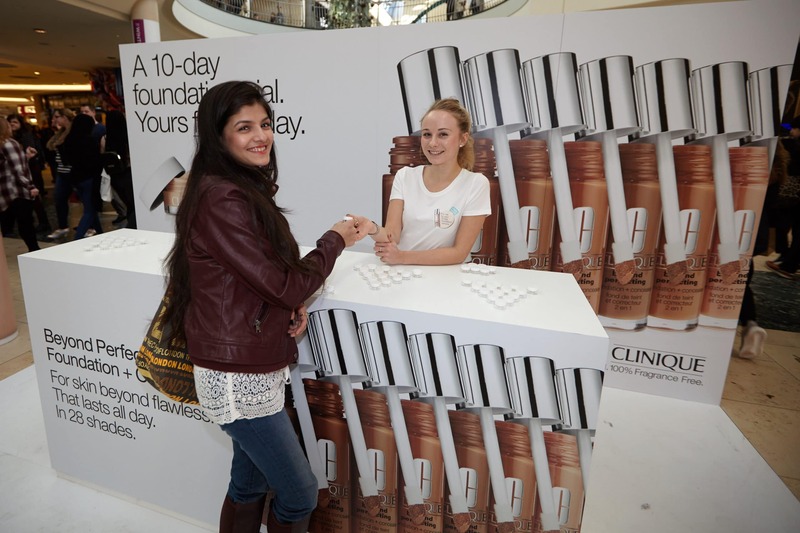 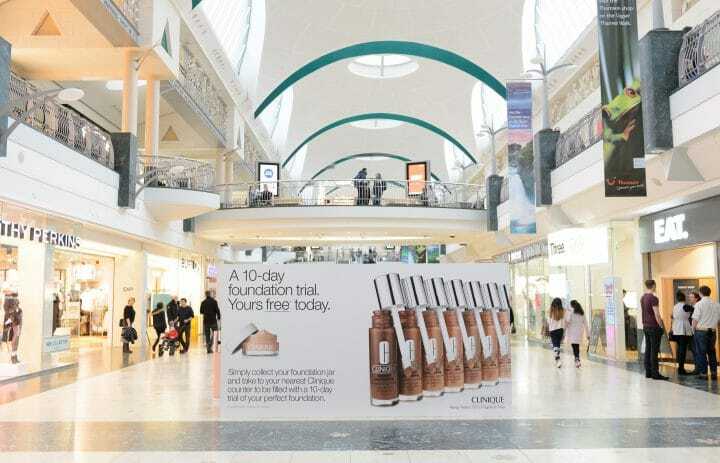 The key challenge of the activation was to encourage customers to collect an empty sample dram and take it to one of several nearby Clinique Counters where they would undergo a consultancy to find their matching shade and have their dram filled with 10 day’s free sample to take away. 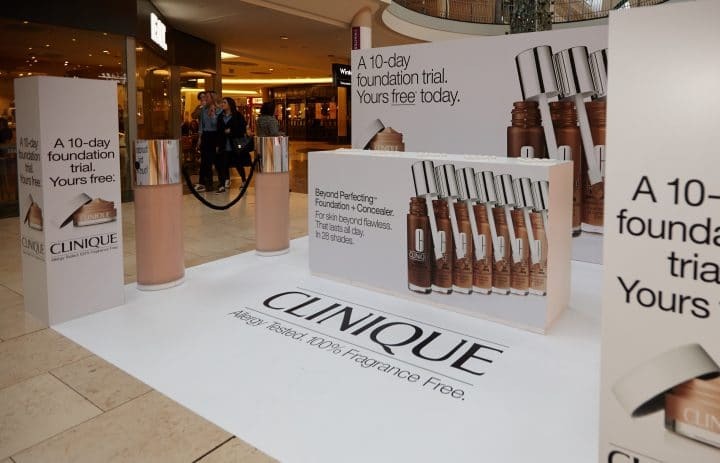 We designed, produced and managed a branded consultation counter and stand that was toured to major shopping centres such as Bluewater, Bullring and Trafford Centre. 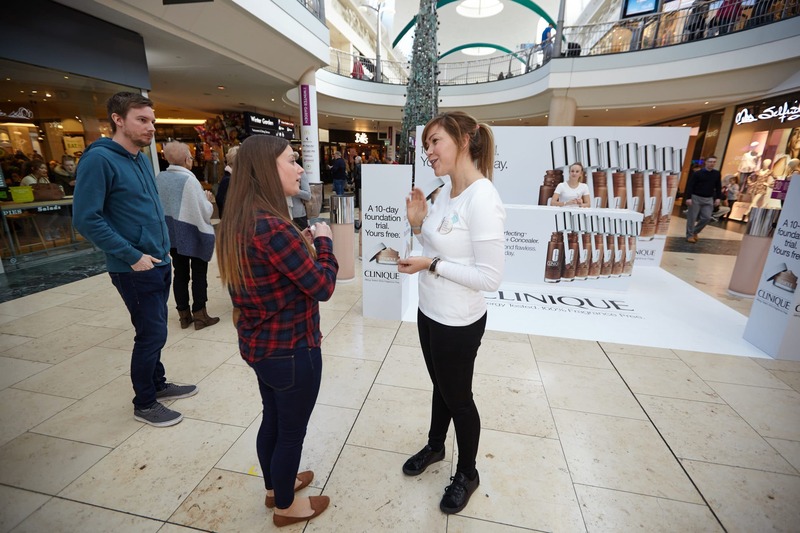 Our teams of brand ambassadors engaged with the target audience of millennial females, educating them about key product benefits of Clinique Beyond Perfecting and offering a 10 day free product trial. 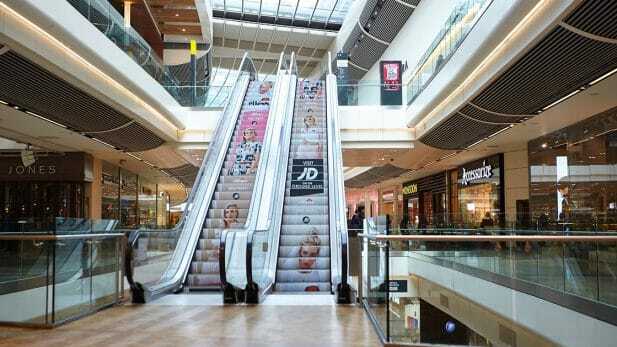 Customers were then able to visit the Clinique retailer within the shopping centres for 1 on 1 consultations with Clinique experts and to redeem their skin colour matched sample. 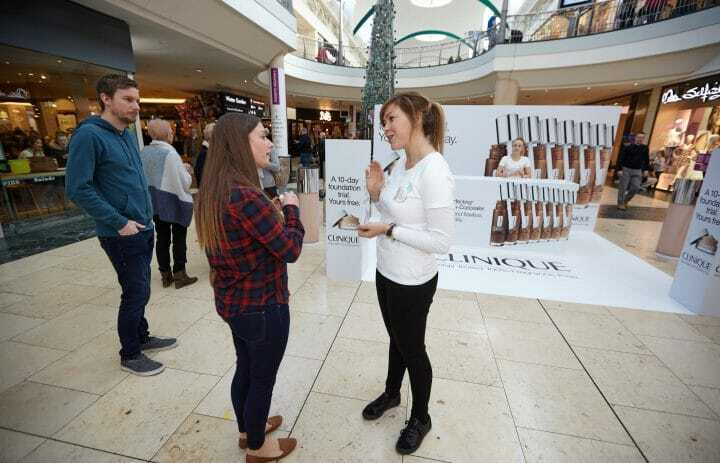 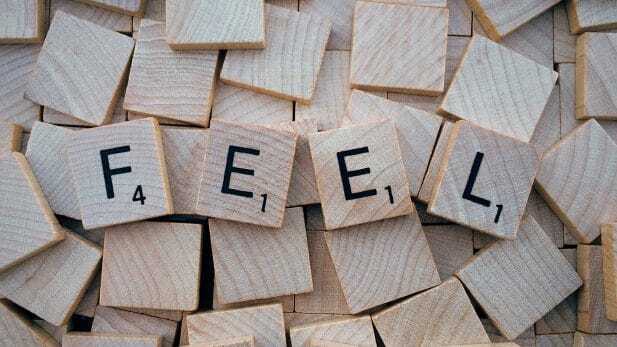 Over three weekends across three cities we distributed over 6,500 drams, with a 43% redemption rate, exceeding the campaign target by over 45%.